A winter storm brings a wintry mix to the region Tuesday and Wednesday. Snow develops Tuesday mid morning. Snow is expected to arrive between 9-11am, taking longer to arrive north of the Mohawk Valley. The brunt of the storm is on the front end. The heaviest snow arrives very quicky. Expect the heaviest snow out of the event to fall in the afternoon (12pm-5pm). Driving conditions during the middle of the day are expected to be very poor, with a slippery, dense snowfall. A transition to sleet occurs for most areas (expect the Adirondack). This will continue to cause travel issues through the ev. There will be a lull in the activity late tomorrow evening, before another round of snow arrives late tomorrow night. Widespread light snow is expected on Wednesday. 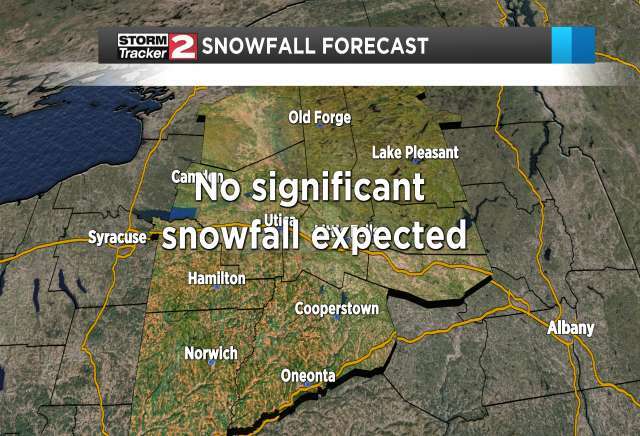 Accumulation: 4-8" in the Mohawk Valley and southern Valleys and 8-12" north of the Mohawk Valley. 3/4 of this falls before dark, with the rest falling late tomorrow night. Impact: Difficult travel, especially Tuesday afternoon and early evening. Enough snow to shovel and/or plow, but not a major storm for our standards. End: The storm continues Wednesday, with an additional 2-4" of accumulation, before officially ending early Thursday morning.